The Xiaomi Redmi Y1 Lite is a recent budget smartphone introduced by the Chinese smartphone firm, Xiaomi. 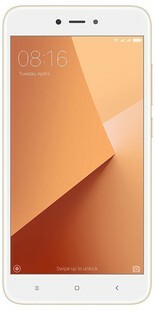 The Xiaomi Redmi Y1 Lite specifications and price are similar to that of the Xiaomi Redmi 4A. The only difference is that the Redmi Y1 Lite has been created specifically for the Indian market, with many India centric functionalities like customised text for railway ticket bookings and also a calendar that displays all important Indian holidays. The price in India starts from INR 10,999 and it was launched in November 2017. The Xiaomi Redmi Y1 Lite is powered by a Quad-core Qualcomm Snapdragon 425 SoC clocked at 1.4GHz along with 2GB RAM. Qualcomm’s Snapdragon 425 processor is ideal for daily use and functions well even if you are playing visually demanding games. The device runs on Android, v7.0 (Nougat) OS. This is customised with Xiaomi's more recent skin - the Miui 9, which provides an array of exciting options including a virtual assistant. Quick loading of apps and simultaneous multitasking is possible due to the availability of 2GB RAM. The device flaunts a nice 13 MegaPixels primary camera with LED flash and PDAF fast focusing. The rear camera on Redmi Y1 Lite captures photos swiftly.The selfie or front facing sensor is a 5MP camera which you can use to snap selfies for social media. The front-facing shooter also assists in video telephony.The performance of shooters is not so great and has been toned down to keep the price of the handset low. But, you can still capture decent pictures with it, given the apt ambience and lighting conditions. The Xiaomi Redmi Y1 Lite device flaunts an awesome display screen. This device features a 5.5-inch touchscreen panel and the resolution is 720x1080 pixels while the pixel density is 267 ppi. A big display means you can expect great performance from this hansdset.One can play games , stream movies, and read e-books on the latest Redmi Y1 Lite. The display is ideal for media consumption as well fits easily in one hand. It is incredibly durable thanks to the Corning Gorilla Glass display. The handset is fitted with 16GB native storage capacity and you have a choice for external storage. A MicroSD card can be used to expand the memory up to 128GB. The handset is juiced by a 3080mAh Li-ion unit. According to the company, the battery delivers up to 35 hours of call time, 11 days on standby, 16 hours of gaming, 11 hours of video playback. Truly, the Xiaomi Redmi Y1 Lite handset is feature-packed, plus its affordable and provides awesome value for money. It boasts of a decent configuration which makes the experience of playing games very pleasant. Besides, the good battery and big display do their respective jobs truly nice. If you are seeking a budget Android phone from a reputed brand, then you will certainly love Xiaomi Redmi Y1 Lite. Xiaomi Redmi Y1 Lite full specs and reviews as of Apr 2019. Buy it here!